In November 2015, Diane and co-counsel made front page news when they obtained a full acquittal for their client charged with racketeering, murder, and extortion in the “Lufthansa Heist” case following a four week jury trial in New York federal court. Diane Ferrone specializes in criminal defense. 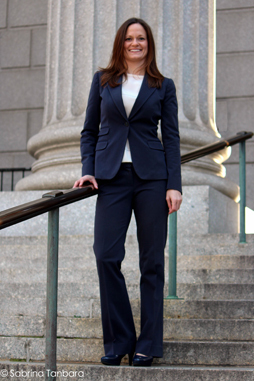 She has handled a wide variety of criminal matters throughout New York City, in both state and federal court. She has represented clients charged with various crimes, including racketeering, narcotics, robbery, murder, fraud, financial crimes, and many others. Diane’s clients describe her as dedicated, determined and hard working. Her passion for criminal defense is evident in her devotion to her clients and her zealous representation of them. Whether it’s a midnight arraignment or weekend prison visit, Diane is known to go above and beyond for her clients. She provides personalized attention to all her clients and treats each case with care and compassion. Her combination of book and street smarts make her a worthy and feared adversary. Diane delivers top quality representation at affordable prices. Diane has worked on several high profile matters, including cases associated with the Bernard L Madoff Ponzi scheme and the Boston Marathon Bombing. Diane got the charges dismissed for Brooklyn winery owner charged with an illegal moonshine operation. Diane obtained a non-criminal disposition in a drinking and driving case in Manhattan where the client did not take the breathalyzer test. Diane represented an alleged member of the Bonanno crime family in the EDNY charged with extortion. Diane was trial counsel for a college student charged with obstruction of justice relating to the Boston Marathon bombing. For over three years, Diane represented a 40 year employee of Bernard L. Madoff. Diane recently tried a double homicide in the Southern District of New York. Diane, a native New Yorker, has practiced law in New York for over 15 years. She attended SUNY Binghamton, where she graduated with honors. She went to the University of Pennsylvania Law School in Philadelphia, PA. After law school, she had a federal clerkship Honorable Jay C. Waldman, in the Eastern District of Pennsylvania. Diane is a member of the NYS Bar Association, the Criminal Advocacy Committee of the New York City Bar Association, and is admitted to practice in the Southern and Eastern Districts of New York and the Second Circuit Court of Appeals. Prior to opening her own practice, Diane practiced at several prominent law firms in New York City as well as in-house in the financial industry. Diane worked for me for a time during a very stressful part of my life. I found her to be very focused and very determined. She was tireless in her need to understand and do every thing possible in my situation. She answered every phone call personally and went to great measures to do her job thoroughly. She has one of the best memories I have ever known. Tell her something once, and its stored in her memory forever. She was clever and sharp in her findings. She was loyal to me, as her client, and passionate in her determination to do the best job possible. 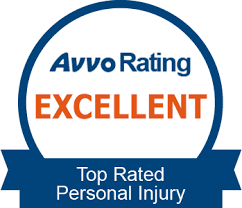 I would not only recommend her to others, but I would use her again if I ever have need of an attorney again. Diane represented me in 3 related charges; 2 civil and 1 criminal. The cases took well over 2 years to be resolved and were quite rigorous at times. From start to finish Diane was highly dedicated, available, informed, professional and extremely thorough. On more than one occasion Diane accompanied me to difficult meetings where it would have been completely appropriate, and expected, for me to go alone. She was not on the clock during these meetings, rather, she was being supportive and most importantly, fanatical. Diane guided me competently through the most difficult period of my life. I truly felt like I was in the best possible hands throughout the entire process. In my opinion and given the specific circumstances that I was faced with, the outcome of my case was the best it could have been. Diane represented me in my criminal case with the utmost Loyalty and Dedication to my case, and went above and beyond to help me deal with such a difficult time. She visited me on weekends, took all calls, and always went the extra mile. She showed up at all my meetings and always made me feel that my interests were protected and fought for with all her energy at all times. She constantly followed up on everything without any reminders from me. She is a strong advocate for her clients, not afraid to take strong positions, and never hesitated to put me first. I would recommend her to anyone. ©2019 The Law Offices of Diane Ferrone, PLLC | Attorney Advertising | Lawyer Web Design by Brad Hart Creative Group.